Kirby Vacuum company needed an illustration of a dustmite for some of their print work. 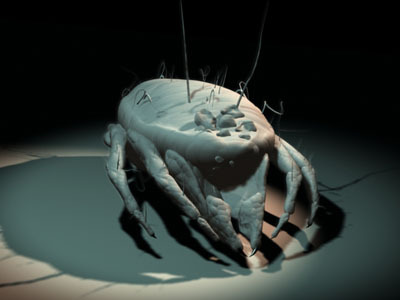 Using 3D Studio MAX, Kirby has a 3D model of a dustmite that can be viewed from any angle. Although the initial time and cost of creating a model rather than a hand drawn image is a little more, the timed saved in redrawing or modifying the shot is well worth it.